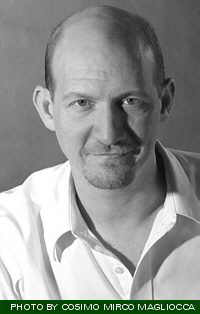 David Levi grew up in New York City. He graduated from Harvard University with a degree in psychology, then studied piano, conducting, chamber music, and vocal accompaniment at the Manhattan School of Music with Donal Nold and Martin Katz. After conducting in various German Opera Houses he became James Conlon’s assistant at the Cologne Opera from 1993 to 1997 where he was music director and conductor of new productions of Shostakovich’s The Nose (directed by Harry Kupfer) and Sondheim’s Sweeney Todd (directed by Torsten Fischer), as well as conducting performances of La Damnation de Faust directed by Harry Kupfer, Elektra with Gabriele Schnaut, Eugene Onegin, Otello, Hänsel und Gretel, and La Traviata. He has actively continues to coach and accompany many fine singers, among them Cristina Gallardo-Domas, Anja Silja and Patricia Petibon. In 1989 David Levi created the Spanga Opera Festival in The Netherlands with stage director Corina van Eijk. There he conducted L’Elisir d’Amore, Rigoletto, Les Contes d’Hoffmann, The Rake’s Progress, Ariadne auf Naxos, Samson et Dalila, Falstaff, Aida, Il Trittico, Mavra, and Sancta Susanna. He conducted a soundtrack recording for two opera-films produced by Opera Spanga: Rigoletto and Samson and Dalila. He also conducted David Moreau’s film music for Une Vie à t’Attendre and le Héros de la Famille. In the latter, he was also the vocal coach of Emmanuelle Béart and Cathérine Deneuve. David was the Chorus Master at the Paris National Opera from 1997 – 2002. In 2002, The Graz Opera in Austria invited David Levi to conduct a revival of Turandot as well as a new production of Cabaret. He returned a year later to music direct a new production of Sweeney Todd. Since 2002, David’s conducting activity in France has included productions of Die Lustige Niebelungen at the Opéra de Montpellier, Le Pays du Sourire at the Opéra de Longjumeau (Paris), and critically acclaimed performances of Die Fledermaus at the Opéra de Massy, as well as concerts with the Orchestre des Pays de la Loire, and the Orchestras of Strasbourg and Nancy. His recordings in France include La Damoiselle Elue by Debussy with the Orchestre de Massy, soprano Ying Huang and the Maîtrise des Hauts-de-Seine. and Poulenc’s Les Petites Voix, also with the Maîtrise des Hauts-de-Seine. David is regularly invited to conduct the Orchestre National d’Ile de France with whom he has collaborated on numerous programs, including Leonard Bernstein’s Mass at the Cité de la Musique in Paris, Messiaen’s Trois Petites Liturgies at Salle Gaveau, Pink Martini at Salle Pleyel and an evening of Broadway with Patricia Petibon and a chorus of 1500 children from the Paris region. His concert with Orchestre National d’Île de France, a chorus of 1300 singers and the Brazilian singer Lenine at the Zénith de Paris was one of the high points in the celebrations for the Year of Brazil in France. With Ms. Petibon, he has conducted numerous concerts, including most recently with the Tokyo Philharmonic in 2009. He debuted at the Vienna Volksoper in 2005 with a series of performances of The Sound of Music and of Czárdásfürstin by Kalman, followed by a gala concert dedicated to the Broadway Musical. Those engagements led him to return to Vienna for the premiere of Boris Eifman’s ballet Anna Karenina, and as musical director for critically acclaimed productions of My Fair Lady and, most recently in 2010, South Pacific with the great bass Ferruccio Furlanetto. Elsewhere on the continent, David Levi has conducted Kalman’s Czárdásfürstin at the Komische Oper Berlin and Puccini’s Le Villi, featuring Cristina Gallardo-Domas in the lead role, at the Teatro Villamarta in Jerez. In the United States he led productions of Don Giovanni and the world premiere of a new American opera, Guest From The Future, about the meeting of Anna Akhmatova and Isaiah Berlin at the Bard SummerScape Festival in New York. His activity with Opera Spanga continues to this day, the most recent projects including Donna Giovanna, a reexamination of Don Giovanni which met with a great critical and popular success, as did his reworking of Strauss’ Elektra for an orchestra of 34 musicians, and his 2010 version of Carmen. 2010 saw David’s début with the Royal Danish Ballet in Napoli. In Italy, David is quickly becoming known not only for his work in ballet, recently conducting Anna Karenina (Trieste and Genova) and Red Giselle (Trieste) with the Eifman Ballet Theatre of St. Petersburg, Petrouchka/L’Après-Midi d’un Faune/Les noces in Bologna, and La Sylphide in Genova), but also for his work in opera conducting his début at the Opera di Roma in the European première of A View From the Bridge by William Bolcom. In South America, his rendition of the Beethoven Eroica Symphony with the National Symphony Orchestra of Colombia, and his concerts in Caracas with the Symphony Orchestra of Venezuela have establishied his presence on yet another continent. He will return to Shanghai in the autumn of 2014 after his successful debut with the Shanghai Opera Orchestra in 2013. His most recent concerts have bought great critical acclaim: most notably his performance with the New York City Ballet at Lincoln Center in New York City—hailed by the New York Times as “one of the finest in years”– and his interpretation of Rhapsody in Blue with the great Italian Jazz pianist, Stefano Bollani, at the the Teatro Lirico di Cagliari. Recent productions: Bluebeard’s Castle (National Symphony Orchestra of Columbia), A Funny Thing Happened On the Way to the Forum (Volksoper),Donna Giovanna (film version for Opera Spanga, Napoli (Opéra de Paris-Palais Garnier), Ailey/Graham (Opera di Roma), Sweeney Todd (Theater Magdeburg), Anatevka (Mörbisch Seefestspiele).